Individualized Education Programs (IEPs) are documents that a group of caregivers, educators and other professional staff work on to create a roadmap of what they want a particular child with disabilities to attain. This document also examines the child’s own goals and desires. It takes into account the child’s current abilities, strengths and weakness, as well as educational, functional and social goals for the future. The document serves as a long-term guide covering a span of one to three years or longer. For older children (age 14 and older), they also serve as a guiding document for helping them transition into adulthood (in conjunction with other documents). IEPs are used for children with all types of disabilities, and they are tailored to the severity of the disability. For some students, the IEP focuses on helping children through general education (also known as “mainstream”) classrooms, while others may focus on programs developed specifically for special needs students. If a student has multiple severe disabilities, the IEP may take a different approach and focus on key therapy needs and functional education outcomes rather than curriculum-based educational guidelines. Regardless, an IEP helps to ensure that a student is equitably educated in the least restrictive environment possible. IEPs are also legally binding documents. The steps outlined in the plans must be followed by law. If the conditions laid out in the IEP are not addressed, the child’s right to a quality education is not being fully met. This becomes grounds for investigation and inquiry, as it is an explicit violation of law to fail to provide necessary education services to those with special needs. Why Do Some People with Cerebral Palsy Need Individualized Education Programs? A cerebral palsy diagnosis can often carry with it some physical, intellectual and cognitive disabilities. This can impact educational goals for students with cerebral palsy and require a modified educational plan to allow them to complete coursework according to their abilities. This may also mean that some special-needs services may need to be provided though this varies with the severity and type of disability. What Factors Does an Individualized Education Program Consider? IEPs lay out a concrete strategy to help students reach educational goals. IEPs provide an outline for offsetting or reducing the negative impact that a disability has on learning and educational performance. IEPs provide guidance as to how to measure student growth (to ensure that the student is progressing and meeting growth markers). Teachers use IEPs to make sure they are providing appropriate services and accommodations. Who Participates in Making the IEP? An individual skilled in interpreting results (a school psychologist or special education specialist). This individual may already be a present member of the group. How Does an IEP Help Measure Progress? By law, Individualized Education Programs for all students (including those with cerebral palsy) must have a statement of measurable goals. The goals must link the student’s current abilities with future goals over a specific time frame, and state what knowledge, skills, attitudes, and/or behaviors the student should demonstrate within that time frame. This allows the IEP team to very concretely evaluate whether or not the student is meeting set goals. Individualized Education Programs are required by law (IDEA 2004) for those who are using special education services. Because of this, it is important to start developing an IEP in early childhood, because students aren’t placed in public education special needs programs until an IEP has been developed and approved. In order to have the best outcomes, it is important to begin planning for a child’s education early. Children under the age of three have access to early intervention systems. For these early intervention programs, parents develop an Individualized Family Service Plan (IFSP) with the program’s staff members to outline a summary of the child’s needs, along with the services the child will receive to address those needs. This plan also takes into account the needs of the family, allowing the plan to be customized in order to provide optimal care for the child. My Child Needs Services Along with Education. Does an IEP Let Me Get Those Services Through the School? The Individualized Education Program is a holistic plan, so it takes into account more than just education-related help. Related services such as physical and occupational therapy and speech-language pathology are also provided (at no cost to parents) if deemed necessary by a medical professional. The IEP can also indicate that the child needs special adaptive equipment or assistive technology (such as communication devices or computer technology). Schools can provide some resources for other services and equipment though this may vary by school district. How Old Does My Child Have To Be to Take Advantage of an IEP? IDEA takes into account a very broad range of ages. As mentioned above, it mandates services for children under the age of three, but also for children with disabilities between the ages of 3 and 21. What Kinds of Classes or Educational Experiences Does My Child Get if They Have an IEP? Students with disabilities (including intellectual disabilities) should be involved in (and progress in) the general education curriculum. Current laws don’t allow students to be completely removed from education in their age-appropriate general education classes simply because the student needs some curriculum modifications. This means that they can be exposed to the same curriculum as their peer group in the least restrictive environment possible. Children with intellectual disabilities can also sometimes require help with adaptive skills (skills needed to carry out the tasks of daily living). These include communication, personal care and hygiene, health and safety, home living, social skills, reading, writing, and basic math, and (as they get older) workplace skills. Some programs (known as ‘supportive vocational programs’ or ‘supported employment’ programs) assist children with intellectual disabilities in learning these skills, helping them to better adapt to interacting within a larger community. Finally, as students begin to age, it is crucial that plans be put in place for the transition into adulthood. IEP Teams must include transition planning information no later than the first IEP that is in effect when a child is 16. Generally, it is recommended that transitional planning occurs much earlier than this. An IEP is Only One Type of Plan to Foster a Child’s Development. What Other Plans Work With IEPs? An IEP looks only at the educational components of the development of a child with disabilities. There are multiple plans that work in conjunction with the IEP to provide a comprehensive plan for their growth. These plans can be laid out roughly sequentially in the order below. These brief summaries are overviews; more detailed information can be found at the links below. Individualized Family Service Plan (IFSP): An early-intervention program for children 0-3 designed to prepare students for school. This plan takes into account the home environment, family dynamics, access to recreation and other resources that help maintain a healthy environment. Independent Education Evaluation (IEE): The IEE occurs if a child is suspected to have a learning disability. This evaluation helps identify difficulties with learning and provides a basis for developing solutions that will address these issues. Teachers often ask for these, but they should be a tandem effort between educator and parent. This evaluation is done by qualified school district personnel. Individualized Education Program (IEP): IEPs, as outlined above, are a plan designed to maximize a student’s academic learning potential by identifying resources the student needs to learn, and creating strategies for the student to achieve measurable progress. This is created at the same time as the IHP. Individualized Health Plan (IHP): Individualized Health Plans outline how school staff can assist students with disabilities in handling their health or physical impairments. This should happen 2-3 months before the start of kindergarten. Individualized Transition Plan (ITP): These are plans designed to help transition a child smoothly from childhood to adulthood and allow them to live as independently as possible. It is mandated by law that a plan is in place by age 14-16, but it is recommended that these be implemented earlier. These plans take into account abilities and aptitude for employment/further education, transportation, housing and life skills (self-care, cooking, finances) that allow individuals to support themselves to the greatest extent possible. Wrightslaw provides a detailed and comprehensive guide to IEPs, as well as the laws surrounding education for children with disabilities. The Advocacy Institute provides a guide for parents regarding educational outcomes for children with developmental disabilities. British Columbia’s Ministry of Education provides a guide to IEPs. While the laws of British Columbia may differ from the U.S., the document provides a simple and comprehensible guide to general principles. The New Jersey Council on Developmental Disabilities provides a document for teachers with information on including students with disabilities in general education classrooms. It can be useful for parents to see documents from the point of view of instructors in order to understand the multiple parties involved in integration. The American Association on Intellectual and Developmental Disabilities has the world’s most comprehensive and up to date information on disabilities, making it a useful resource for parents seeking detailed information. Accredited Schools Online provides a resource guide for students with disabilities seeking a higher education. 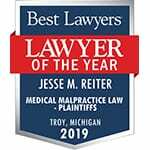 If you believe your child has been diagnosed with a learning disability due to a birth injury, the attorneys at Reiter & Walsh may be able to help. We can review the medical records to determine whether medical malpractice resulted in your child’s disabilities. 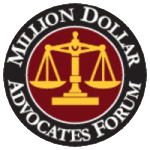 Case evaluation is completely free. We are available 24/7 via live chat, phone (888.419.2229), or contact form.